Edwin A. Sisson, Attorney at Law had an eventful week in mid-March! The week started with the Firm’s attorneys, Ed Sisson and Jeffrey Banyas, and office manager, Kim Szabo, in North Carolina. 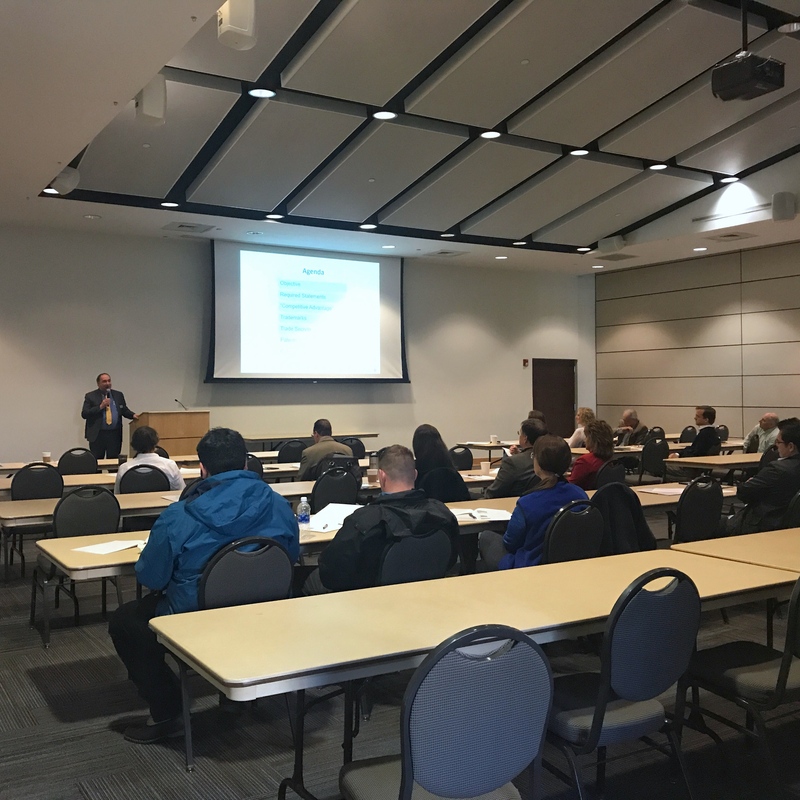 With the support of The McIntosh Law Firm, the Firm presented two seminars in Mooresville, which is just north of Charlotte. 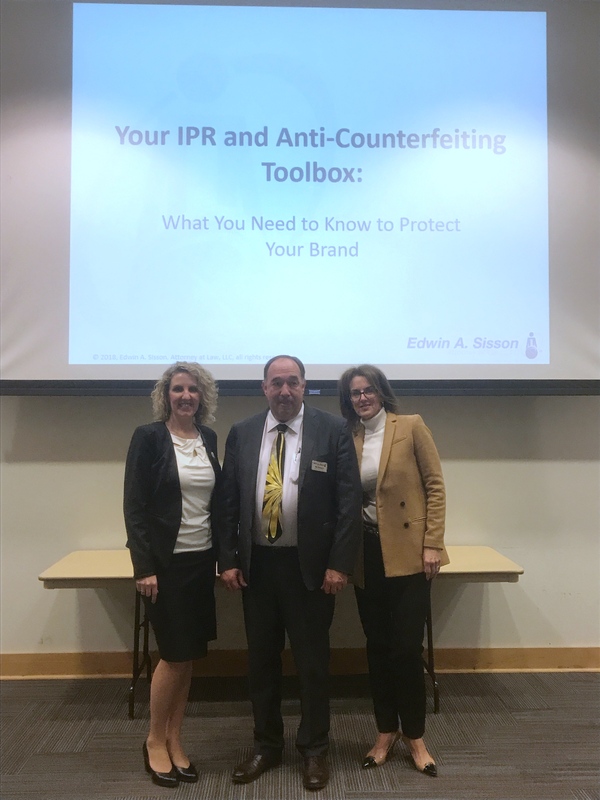 The first seminar, entitled “Your IPR and Anti-Counterfeiting Toolbox: What You Need to Know to Protect Your Brand,” took place on Tuesday, March 13. At this seminar, Ed Sisson, along with Tamara Rabenold of Vaudra International and Donna Policz of DSS, presented information about how to protect your business from counterfeiters, including the steps you can take to prevent counterfeiting, the steps you can take to limit the damage if you’ve been counterfeited, and what to do once you discover you’ve been counterfeited. The second seminar, entitled “Strengthening Your Competitive Advantage Through Intellectual Property: The Who? What? When? How? & Why? Of Patents, Trademarks, Trade Secrets, & Copyrights,” took place on Wednesday, March 14. 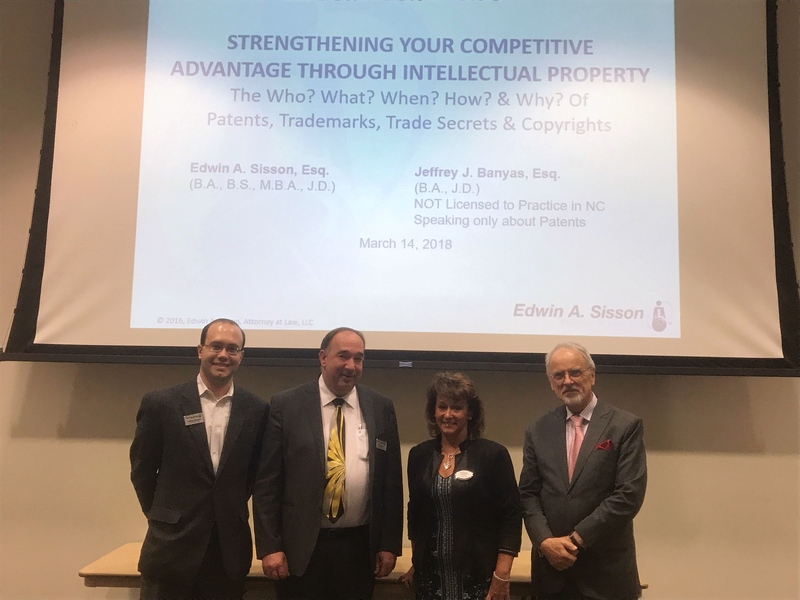 At this seminar, the Firm’s attorneys, Ed Sisson and Jeffrey Banyas, provided attendees with valuable information on how various kinds of intellectual property registrations and protections can be used to protect their businesses’ competitive advantages. Tamara Rabenold and Donna Policz also provided attendees with useful information regarding how to prevent counterfeiting and what to do if they find they’ve been counterfeited. We want to thank The McIntosh Law Firm, particularly Jesse Jones and Angela Swett, as well as Tamara Rabenold of Vaudra International and Donna Policz of DSS, for their part in putting on these seminars and in welcoming us to the community. In addition to putting on the seminars, Ed, Jeffrey, and Kim also had the opportunity to attend a Specialty Equipment Marketing Association (SEMA) Town Hall event while in North Carolina. While Jeffrey has attended SEMA Town Halls before, this was a first for Ed and Kim. All three enjoyed the opportunity to network with fellow SEMA members and to learn more about the issues facing the aftermarket automotive industry. 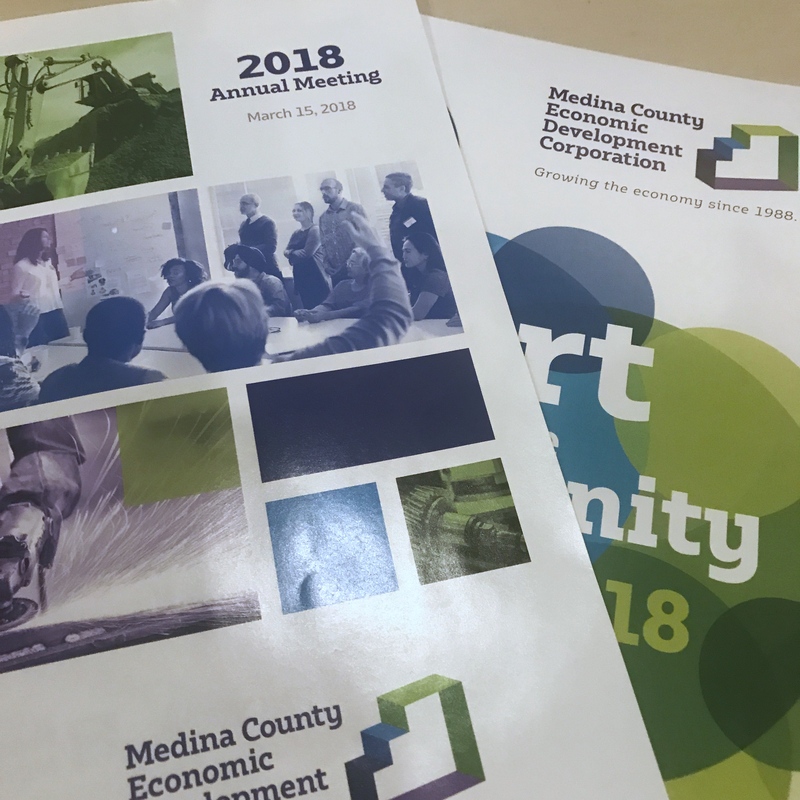 After returning to Ohio, Ed, Jeffrey, and Kim were excited to wrap up the week at the Medina County Economic Development Corporation’s (MCEDC) Annual Meeting. Katie Abbott, the Firm’s marketing specialist, attended the meeting, as well, and, along with Ed, Jeffrey, and Kim, enjoyed networking with fellow business leaders in Medina County and learning more about the history of the MCEDC. The Firm looks forward to continuing to expand our business in North Carolina, as well as continuing our strong relationships with SEMA and the MCEDC in the coming months.